Launch Tennessee plays a central role in Tennessee’s strategy for fostering entrepreneurship and startups across the state. No other state in the US has such a comprehensive state-wide program, with nine regional startup accelerators and a state-wide master accelerator providing next-level support. Launch Tennessee also connects entrepreneurs with investors that can provide capital, facilitates connections with technology transfer and commercialization offices across the state, and spreads the word about Tennessee startups through their events, blog, and email updates. Generating sufficient capital for the over 350 companies accelerated since 2012 remains challenging, however. According to Charlie Brock, president of Launch Tennessee, in an interview with the Nashville Business Journal, “[t]ypically companies get seed funding and angel funding, anywhere from $50,000 to $500,000, and then they go for an A round, which in Tennessee is 1 million to 3 million [dollars]. That next round of funding is really needed to take them to a higher sales plateau. We don’t have a ton of different groups that can fill that gap on a consistent basis.” To address this problem, Launch Tennessee invests state funds to match private investment and has been recruiting investors outside the state to invest in Tennessee companies. As Tennessee has been ramping up hundreds of startups, China has been rapidly increasing investment into the US, doubling in 2013 to reach $14 billion, according to Rhodium Group. Globally, China is now the third-largest source of outbound investment, trailing only the US and Japan. In 2014, China also dramatically reformed its outbound investment approval process, eliminating National Development and Reform Commission (NDRC) and Ministry of Commerce (MOFCOM) approval requirements for investments in non-sensitive industries or countries, with some exceptions (investments exceeding $1 billion still require approval from NDRC). These reforms will enable Chinese investors to close deals quicker, with less risk and less government interference, paving the way for even higher levels of Chinese investment into the US in 2014 and beyond. US industries attracting recent interest from Chinese investors include, among others, high-tech and biotech – industries in which Tennessee is increasingly competitive. The work of Life Science Tennessee, a statewide association that educates, collaborates, and advocates for the industry. When it comes to high-tech startups, one Chattanooga company is better positioned than many to maximize value for Chinese venture capital investors. 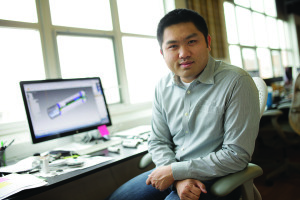 Variable Inc., named one of the top 10 manufacturing startups of 2014 by Global Manufacturing, is an internet-of-things solutions provider utilizing the NODE+ wireless sensor platform that works with smartphones. Though it is a relatively young company, Variable has already started exploring sales opportunities in China. China is a natural fit for Variable’s technology solutions. 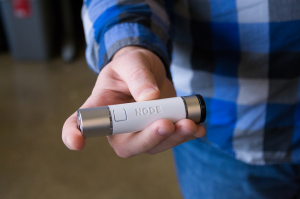 The NODE+ can measure vibration, temperature, gas, humidity, light, and more – applications that can be used to improve quality control and maximize efficiency in manufacturing facilities, among other uses. One application that Variable is currently focusing on in China is color matching – if factories across China began to use the NODE+ to ensure exact paint and product color matches, it could dramatically improve quality, speed production time, and reduce waste generated by manufacturers, potentially transforming the image of China’s manufacturing industry. Besides the natural fit of Variable’s products with the needs of the Chinese manufacturing industry, Variable benefits from the fact that its founder, George Yu, was born in Wuhan, China, moving to the US at age 11. His fluency in Mandarin and familiarity with Chinese culture enable Variable to more easily navigate the challenges that other US companies face when doing business with China. For example, according to Variable’s chief operating officer, Greg Compton, an engineering meeting with a Chinese supplier that would normally take an American tech executive two to three days “will be cut to two hours because of George”. Check back for future posts on other Tennessee startups and investment opportunities for Chinese investors. : Tags: Biotech Chinese businesses in TN Chinese investment in TN Healthcare High-tech Launch Tennessee Life Science TN Medical devices Memphis Bioworks Oak Ridge National Lab Policy Update Rankings Startups TN businesses in China TN Companies Variable Inc.